Over one lakh employees of the Maharashtra State Road Transport Corporation (MSRTC) have gone on an indefinite strike demanding a hike in salary, causing hardships to thousands of long-distance passengers planning to travel to their hometowns for Diwali. To overcome the disruption caused by the strike, which started from midnight on Monday, the transport department of the Maharashtra government has issued a notification to allow private vehicles, including school buses, to ferry passengers. The state-run corporation termed the strike, which has hit the Diwali travel of thousands of passengers, as “illegal”. “Our 1.02 lakh staffers have stopped plying ST buses from midnight on Monday demanding implementation of the 7th Pay Commission and an interim hike of 25 per cent till the pay panel’s recommendations implemented. The government agreed to give only a part of interim hike which is not acceptable to us,” Sandeep Shinde, president of the Maharashtra ST Workers’ Union, told PTI on Tuesday. “If our demands are met, we are ready to end our strike right now,” Shinde said. Shinde said, on behalf of the union, he apologises for inconvenience caused to passengers. “We have been rendering our services to them (passengers) since long, but this time we need their support for our survival,” Shinde added. 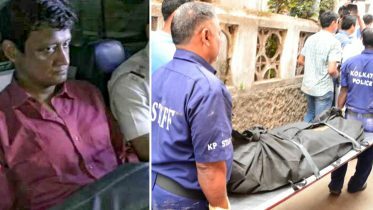 He said Chief Minister Devendra Fadnavis and Transport Minister Diwakar Raote have taken some steps to resolve the issue, but “we want a final solution this time”. 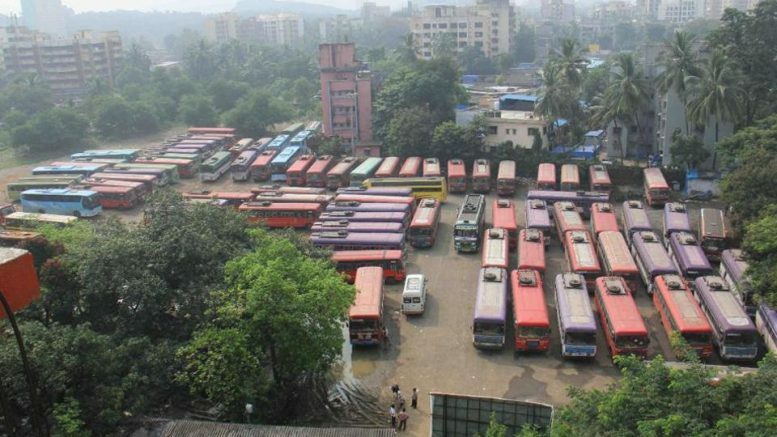 “Due to the strike by State Transport staffers, official permission has granted for all types of (private) buses (like school and company vehicles) to ferry passengers from ST depots,” Parveen Gedam, Transport Commission of Maharashtra, told PTI. A senior official of the MSRTC said the strike is “illegal” and the transport agency’s administration has appealed to the union members to come back to work. MSRTC officials said Fadnavis and Raote have taken the issue seriously and ordered setting up of a committee to look into it. More than 65 lakh passengers travel by ST buses across the state everyday. The MSRTC runs 18,000 buses, some of which go to far-flung areas not connected by rail network. The transport undertaking incurs a loss of Rs 450 crore per year. Be the first to comment on "Maharashtra MSRTC employees on strike; Diwali travel hit"